Hi, my name is George E. Franklin, III, and I am a kidney transplant recipient! My kidney disease was discovered just after my high school graduation, in 1972. Though I had the grades to go to college, I really wanted to enlist in the Navy. Several of my high school friends were all going in together after our last “free summer”. They enlisted and departed in September, but I was holding back till October so I could attend my only sister’s wedding. Well, I became ill with a very bad cold, and upon going to the hospital, I was told my kidneys had shut down completely, and my blood pressure was out of control! They administered as much care as they could, being a small neighborhood care unit, and once I was stabilized, I was transferred to the George Washington University Hospital. There I received peritoneal dialysis in an effort to “restart” my kidneys. That failed. And then the tests were coming in indicating a much more serious situation. It was called glomerulonephritis! Hemo-dialysis was then started, and that went on for 3 years, 3 days a week, six hours each day. I had, in those three years, 9 surgical procedures, including a transplant that never worked. It was removed a month later, and a serious depression set in. I thank God for my family and the Doctors and nurses at GWU! They were a caring bunch of folks! Drs Parrish, Kramer and Thompson were pioneers at GWU, and they were the best Doctors you could hope for! 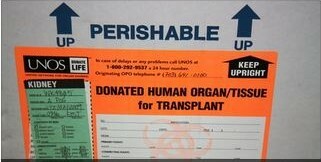 Well, I was called in for another transplant, 6 months later, in November of 1975. I almost didn’t accept the second transplant, because I was still suffering from depression due to the first one not working. But my surgeon, Dr. Glenn W. Geelhoed http://home.gwu.edu/~gwg told me, George, this is YOUR KIDNEY! Eventually I believed him, and I’m still peeing up a storm! A couple years after the transplant, I started working in the computer field, and continued for about 20 years. I am now retired on disability due to heart disease. I’ve had open-heart surgery to repair an aortic aneurysm, and to replace my aortic valve with a St. Jude valve. And LIFE IS GRAND! I thank my Lord and Savior Jesus for His many blessings in my life! thank you, Dr. Peirpont, thank you, Dr. Edward Dudek, thank you, Dr. Dosa, thank you, Dr Violet Habwe, thank you, Dr Khan and thank you Juanita and Sandy and the other staff members, current and former, of the Nephrology Center. Thank you, Ethel Jamison and Pat Shine, two of the worlds greatest nurses! And thank YOU, Dr. Glenn W. Geelhoed, for convincing me it WAS my kidney! And thank you to the Donor Family that I never got a chance to meet. Thank you! Congrads to you, I had my first kidney transplant in 1977, on dialysis for 3 1/2 years before the transplant. I was luckily my Mom and Dad both matched, I received the gift of life from my Mom that match lasted almost 10 years. I needed a second transplant my Dad donated this time,this one is still going strong. Life is great celebrating 30 years of marriage this year! Still working, skiing, hiking,hunting, enjoying every day. One question are you having any problems with skin cancer ? David Doyle…we’ve been trying to locate you, so we can add you to our Club….leave your e mail addy, or, e mail me at gef3rd@gmail.com!! Congrats on your Mom AND Dad’s kidney transplants!! And, actually, ANY ONE that sees this Page, if you have 25 years or are nearing that number, with your transplant, we want to get you into our Club, so, leave a comment AND a way to contact you back!! MY e mail addy is gef3rd@gmail.com….